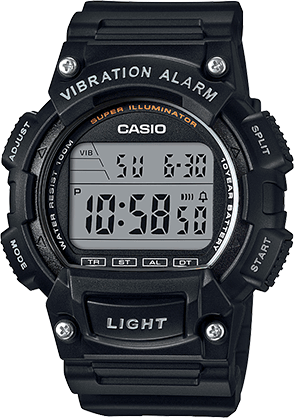 With the rugged looking W735 series, Casio re-introduces the vibration alarm, a function that is useful where discretion is required or in loud environments where audible alarm signals could be missed. 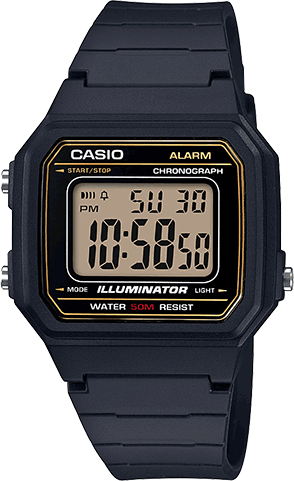 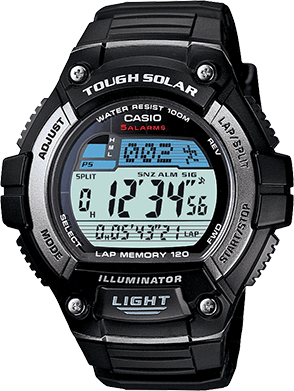 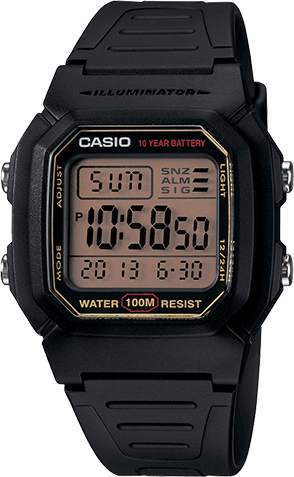 The watch also includes a 10 year battery, is 100 meter water resistant and has a high-brightness LED light. 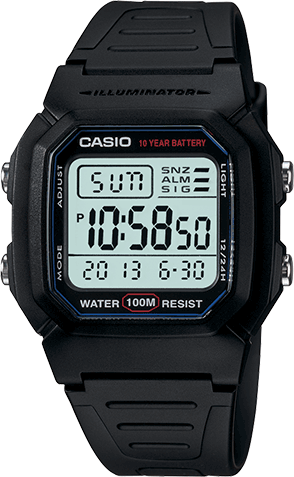 All this and more additional functionality, provide a great value for those who work hard and play harder. 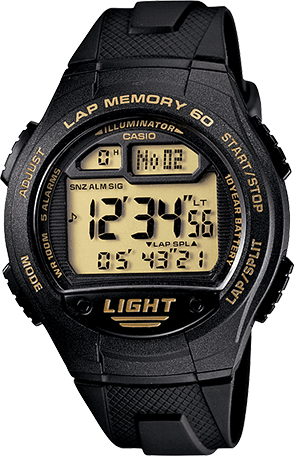 Black resin band digital with black and gold dial and positive LCD.